The decision to “do-it-yourself” or call a professional is one most homeowners make. However, when it comes to electrical problems, it is always best to call a licensed professional, as electricity can be dangerous by nature. The technicians at Bosworth know how to get your electrical job done effectively and safely! The Bosworth Company also offers a full-range of products for the “do-it-yourselfer.” So whether you need re-wiring or a single outlet replaced, our licensed electricians will deliver quality workmanship, performing work right the first time. Bosworth really is worth the call! FOR ANY AND ALL OF YOUR ELECTRICAL CONTRACTING NEEDS, TRUST THE BOSWORTH COMPANY! From ceiling fans and lighting, to circuit breakers and electrical panels, Bosworth can install an array of electrical equipment for the benefit of your home or building! Let the professionals at Bosworth introduce you to the benefits electrical improvements have to offer, including energy and cost savings, improved safety, and an overall new look! Did you know you have more efficient and affordable options when it comes to indoor and outdoor lighting? Take advantage of the selection of convenient, energy efficient, and affordable lighting solutions available on the market today. 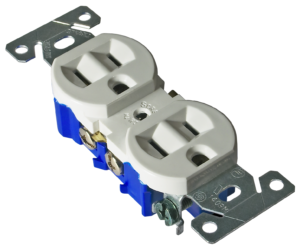 For a fully customizable solution to your electrical needs, Bosworth has you covered, inside and out. Our reputation is built upon quality products at a competitive price. We respond to our customer’s needs in a timely fashion, regardless of the day or time. For all your electrical needs, call The Bosworth Company. We’d be honored to show you the difference we provide. Call (432) 570-5233 or request service online today!